Fry Pan 12" SS PRO "NOT Available"
Home > SHOP OUR STORE > COOKWARE > Oxo Cookware "NOT Available" > Fry Pan 12" SS PRO "NOT Available"
The OXO Stainless Steel Pro line features the elegance and durability of stainless steel with the superior heat conductivity of aluminum. Each piece offers a thoughtful design, from 3-Ply construction and stay-cool stainless steel handles to drip-free pouring edges and round bottoms that facilitate stirring. 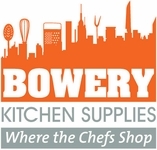 The professional-grade materials ensure high-quality cooking performance and have a lifetime warranty. The durable, all-metal construction is perfect for all stovetops, including induction, and can move directly from the stovetop to oven or the broiler (safe up to 430°F/220°C). The Stainless Steel Pro Cookware line is dishwasher safe for quick and easy cleanup. 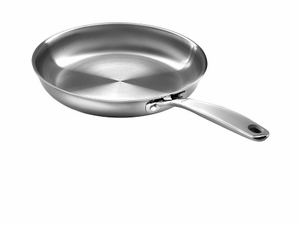 The 12” Open Frypan is ideal for evenly searing meat and poultry.